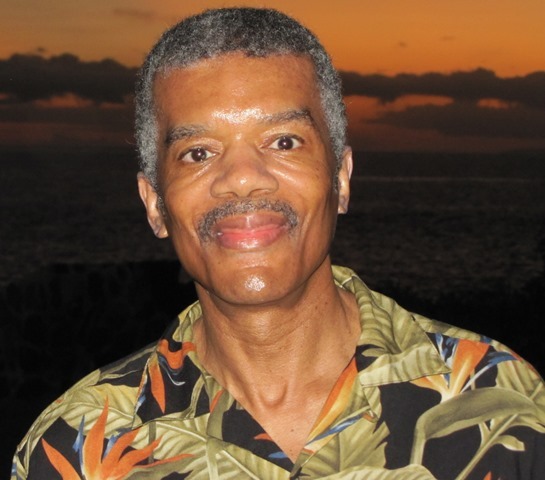 R. Barri Flowers is the bestselling author of young adult novels, including OUT FOR BLOOD, COUNT DRACULA’S TEENAGE DAUGHTER, TEEN GHOST AT DEAD LAKE, GHOST GIRL IN SHADOW BAY, DANGER IN TIME, and CHRISTMAS WISHES: Laura’s Story. His novels can be found in print, eBook, and audio. In addition to bookstores, many of the titles can be found at public libraries across the country. 1.) What was the best thing about writing this book? The best thing about writing SUMMER AT PARADISE RANCH was doing a story that takes place primarily in Maui, Hawaii, and getting to include many of the fun things about living in Maui, including horseback riding, swimming, surfing, eating, and hula dancing. I believe that Hawaii is the best place to visit and even better place to live! Readers will love the setting and the characters, especially the protagonist, Lexi Montoya, who comes to the island unhappily to spend summer with her mother and gets far more than she bargained for in more ways than one. 2.) Where did you get your idea for this story? The idea to write SUMMER AT PARADISE RANCH came into my mind as a result of my deep love for Maui, Hawaii, and sense of adventure. As a part time resident of the magnificent and charming island, with its diversity, including working horse and cattle ranches, luxury and not so luxurious homes, sandy white beaches, the vast beauty of the ocean, the merging of different races, ethnicities, and cultures in a friendly, laid back environment, and of course, hula dancing–all made for the perfect setting for this young adult romance and adventure novel with a bit of mystery and suspense to spice things up that much more. Also, similar to my protagonist, Lexi Montoya, I have lived in the Pacific Northwest, which has its own claim to beauty and charm–making for a great place for Lexi to live (Seattle), before being forced to spend the summer in Maui with her mother, who divorced her dad and remarried a Hawaiian rancher she met over the Internet. Having Lexi resistant to going to Maui was as much about her love for Seattle and her boyfriend, Matt, as the beef she has against her mom for essentially abandoning. The irony here is that most people would jump at the chance to spend the summer in Hawaii, but Lexi’s feelings in this regard went against the grain initially–till she arrives in paradise and begins to warm up to the idea of the forced vacation. One of the best things about Hawaii is that it offers so many activities, such as riding horses, surfing, swimming, hanging out on beach, shopping, eating, and hula dancing. I utilized all of these things in the storyline for Lexi as she gets in touch with the culture and her surroundings — learning to ride a horse, surf, and hula dance, while also falling for a cute Hawaiian teen named Mitsuo. As for the broken home Lexi comes from, knowing that this is all too common in America, I wanted to make her life something that many teens face today with all the angst that comes from it and dealing with. Finally, no YA novel would be complete without the protagonist facing a bit of danger. In this case, Lexi and Mitsuo go after some stolen horses, that becomes more than either bargained for. This was a great novel to write and I am certain that readers will love it, as I take full advantage of the Maui setting in creating a realistic and fun teen adventure. 3.) What would you tell aspiring writers out there? I would tell aspiring authors to follow your dreams to fruition, read as many bestselling books as you can in the genre you would like to write in, to give you some perspective on what works; take criticism constructively, write with passion and determination, and lastly, don’t put off til tomorrow what you can do today–then do it! 4.) What is your favorite book? 84 Charing Cross Road by Helene Hanff, with a close second being The Grapes of Wrath by John Steinbeck. 5.) Coffee, tea, or hot chocolate? Definitely green tea, which I love and is good for me too! This entry was posted in Giveaway, promotions and tagged blog tour, Book Hostage, giveaway, r barri flowers, summer at paradise ranch, Young Adult. Bookmark the permalink. 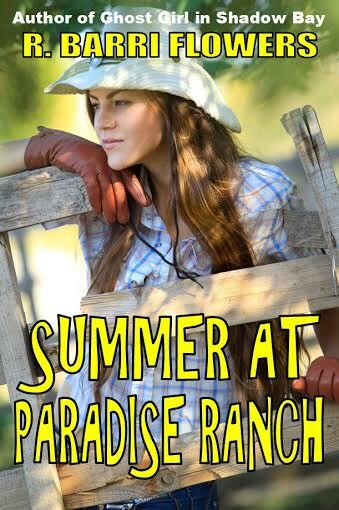 Thanks for being on the Summer at Paradise Ranch blog tour, Maria! !